Mussoorie, 14 Apr: On the 128th Birth Anniversary of Dr Bhim Rao Ambedkar, a programme was held here at the Baba Bhimrao Ambedkar Chowk under the aegis of the Dalit Sahitya Academy, Mussoorie. Floral tribute was paid by the people and slogans raised. Sweets were also distributed among the people. 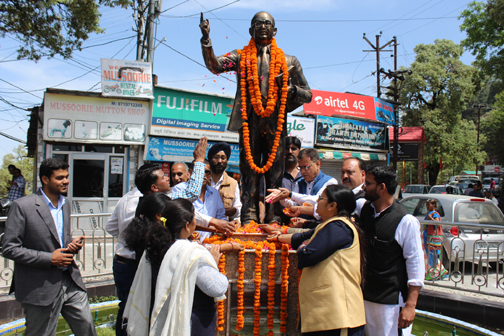 Former Municipal Chairman OP Uniyal and Mussoorie Congress President Satish Daundiyal paid homage to the legendary figure, terming him as a visionary who followed Gandhian and Buddhist principles. They also pointed out that Baba Saheb always worked for social justice, paving the way for those suppressed to join the mainstream by guiding them towards education, reservations and self-esteem. 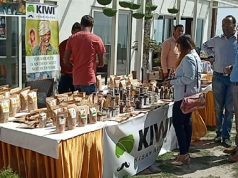 Mussoorie Municipal Council member Geeta Kumai and Jasbeer Kaur said that the nation would progress if all segments of society mutually worked together. 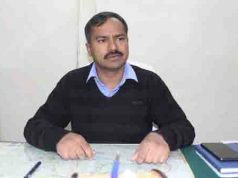 Mussoorie Bhartiya Dalit Sahitya Academy Chairman Sunil Kumar said that Dr Ambedkar contributed to the freedom movement, politics, society and uplift of lower strata of society. He further said everyone should take a vow to help the downtrodden and the needy in accordance with the dreams of Dr Ambedkar. Among those present were Arvind Sonker, Ghanshyam Arya, Ravinder Chenaliya, Madhuri Tamta, Abhilash Rana, Ashish Joshi, Sapna Sharma, Sumit Bhandari, Anil Singh, Rajeev Aggarwal, Shivani Bharti and many others.